Far from making Australia more dynamic, the mining boom appears to have pushed us back into our shells. The second wave of results from the 2011 census released Tuesday show that in the five years in which the boom was its strongest Australians became less likely to move home and less likely to to work long hours, although keener to study. An extraordinary quarter of a million of the West Australians questioned on census night had arrived from outside the boom state in the preceding five years. But the census finds the overwhelming majority came from overseas. Only 22,000 came from NSW, 19,500 from Victoria and 19,500 from Queensland. Nationwide, 84.1 per cent of those surveyed slept in the same house on census night as they had one year earlier, up from 81.3 per cent in 2001 and the highest proportion in decades. A long-term high of 58.3 per cent slept in the same house they had five years earlier. The proportion of workers who put in forty or more hours a week fell from 47.2 per cent in 2006 to to 45.3 per cent. Women became more important as managers, accounting for a record 35.4 per cent of all management positions in 2011, up from just 28 per cent in 2001. Women also increasingly dominated professional positions, accounting for 53.8 per cent of all professionals, up from 51 per cent a decade earlier. Some 21 per cent of Australian workers now call themselves professionals, around one in every five. When taken together with managers the proportion is one in every three. But management is slowly shrinking as an occupation, counterbalanced a rise in the description “professional”. Managers have slipped from 13.3 to 12.9 per cent of the Australian workforce in the past ten years. Professionals have climbed from 18.7 to 21.3 per cent. Retailing is no longer Australia’s biggest employer. In the latest census it cedes the crown to “health care and social assistance” which employs health and welfare support workers, carers and aides, hospitality workers, protective service workers and sports and personal services workers. The sector now accounts for 1.17 million workers (79 per cent of them women) after putting on an extra 211,500 in the past five years. By contrast mining remains tiny - directly employing only 176,500 workers in 2011, up from 107,000. Australians are more educated than ever before. More than 2.3 million now hold at least a bachelors degree, up from 1.4 million in 2001. The number with postgraduate qualifications has doubled from 473,000 in 2001 to 900,100. Women increased their dominance in higher education, climbing from 53.8 per cent of all degree holders in 2001 to 55.9 per cent in 2011. Engineering is by far the most popular field of study for men, with 1.4 million enrolled in 2011. Management and commerce was the next most popular (700,806 enrolments), followed by architecture and building (505,352). Women are most likely to study management and commerce with 1.04 million enrolments, followed by health (677,693), society and culture (671,036) and education (537,607).
. Play with the census. It's fun and interactive. I have been extraordinarily privileged to have worked with Matt Peacock since...well, for a long time. And well before that, as a high school student I bought his first book about asbestos. It was either the first or the second book I bought with my own money - both were from the ABC concert ticket office in Gawler Place. I had played with fluffy asbestos at the Royal Adelaide Show. An Bradford Insulation display invited passers by to feel it. Matt was doing magnificent work in the ABC's investigations unit alerting people to a truth about which Australia in the 1970s didn't care. Many many deaths later (and the deaths are continuing - the stuff found its way into carpet underlay only now being removed by unsuspecting renovators) Australia is on board. Matt - the geeky radio science journalist - was right, early. James Hardie knew about it at the time. Its hiring policy was to take on older workers so they would be seen to have died of other causes. The union backed Hardy and turned its back on science. Asbestos meant jobs and members. Matt's very recent book - Killer Company - tells the whole story. Matt is near the centre of the book, because that's the way to tell the story - as an investigation. Killer Company is being rereleased in November (cheaper and with an index) to coincide with the screening of the two-part miniseries Devils Dust, on ABC Sunday November 11 and Monday November 12. Matt reckons that although some of the conversations didn't happen exactly as recreated, the writers have got the essence of the story right. As with the book, Matt is at its centre. I'll be watching, Sunday November 11, 8.30 pm. Wow. Would Australia's ABS tick off our prime minister like this? My guess is, it would. A record 12,800 babies were born to women over forty last year, up from 7100 a decade earlier. But - while recent - the trend to late births isn’t new. Australian National University demographer Peter McDonald says late births were far more common in the nineteenth century. “Back then a lot of women had more than ten births. They were continually giving birth every two years until well into their forties” he told the Herald. Professor McDonald thinks the drift to later births will soon slow, and the Bureau of Statistics report bears this out. Although the proportion of late births continued to climb last year, the typical age of mothers giving birth fell. The figures show the government’s decision to cut the baby bonus for second and later children will hit most women giving birth. Around 56 per cent of babies born last year were second or subsequent births. “Most Australian children grow up in families with three or more children,” Professor McDonald said. Peter Martin takes a look into birth statistics and what they tell us about the baby bonus. They're fair questions. How many babies born last year were first children? And how many were second or later children? We went after the answer with Thursday's release of the ABS births numbers because it would have given us a handle on the number of births who would get the lower $3000 baby bonus announced in the mini-budget for later children instead of the previous $5000. Its a "sort-of answer" because it "excludes births registered in Victoria, Queensland and Tasmania". That's because those states don't collect information on how many previous babies the mother has had, only how many the father has had (including those in earlier relationships). Given that it is the mother who has the children, the Victorian, Queensland and Tasmanian idea of what constitutes a second or a third seems strange (and certainly won't be used by the government in deciding what size baby bonus to grant). Will they change it? Probably not? Is the ABS stuck with what it gets from the births deaths and marriages registries? Probably. But wait. ANU demographer Peter McDonald says the Australian Institute of Health and Welfare has a much better data set it complies at the hospitals from nurses and midwives who actually ask each new mother how many children she has previously had. But it's late. The most recent publication is for 2009. It's also a magnificent source of data, far better than the ABS publication. It details the length of stay in hospital, everything - even the most popular month for births, which is October.
. A boosted baby bonus means...bigger babies. No kidding. The carbon tax has boosted the cost of living scarcely at all. Despite dire talk of an “almost unimaginable” increase (Tony Abbott) and $100 for a Sunday roast (Barnaby Joyce) the first official consumer price figures show a far lower impact than predicted by the Treasury. Last July Treasury said the tax would push up the consumer price index 0.70 percentage points, adding $9.90 per week to average household costs. In return households were given compensation averaging $10.10 per week. But 0.70 percentage points looks like being an overestimate. Inflation figures for the September quarter (the one that encompasses almost all of the electricity and gas price rises) show them adding 0.44 points to the CPI. It’s a big figure - but not that much bigger than the usual September quarter slug. Sydney households were whacked with with a horrific 17.9 per cent increase in the price of electricity in the latest September quarter. As bad as it is, it’s not that much worse than the 15.1 per cent served up the previous September quarter, and its much less than the 21.7 per cent served up the September quarter before that. Melbourne households have endured a 13.6 per cent increase electricity prices - unwelcome, but well short of previous September quarter jumps of 19 and 21 per cent. Canberra families have had to cop 19 per cent this year - bad, but not too different from a previous 18.1 per cent. We won’t know the full impact for some time. Treasury expected the gas and electricity price hikes to account for only half of the 0.70 boost, the rest being accounted for by businesses that passed them on. But Commonwealth Bank senior economist Michael Blythe makes the point that if the electricity and gas impact is around half what was expected it is likely the total impact will be too. “It is looking as if the Treasury’s figure will be an overestimate rather than an underestimate,” he told the Herald. The total consumer price index increased 2 per cent in the year to September, a figure right at the bottom of the Reserve Bank’s two to three per cent target band, giving its board room to cut interest rates again at its next meeting on Melbourne Cup Tuesday. The quarterly price increase of 1.4 per cent is high, on a par with earlier outsized increases sparked by unusual movements in fruit and vegetable prices. The latest increase also reflects an outsized jump in food prices which contributed 0.32 points to the total, not too far behind the 0.33 points contributed by electricity and the 0.11 points contributed by gas. The so-called underlying rates of inflation calculated by the Bureau of Statistics come in at 2.4 and 2.6 per cent, almost exactly in the middle of the Reserve Bank’s target band. Futures markets were last night pricing in a 60 per cent chance of a rate cut at the Melbourne Cup day meeting, down from 85 per cent on Tuesday.
. How important are household power bills really?
. Billions of cuts with "Labor values"
"We don’t support blanket cuts because the Government has determined that’s the way they are going to do it... There are a million Australians earning $24,000 or less that have private health insurance. I don’t see that as middle class and they’re overwhelmingly people who are trying to pay their way in their older years. The changes to the Baby Bonus are not means tested changes, they’re just blanket changes. So, frankly, I think the suggestion that it is about middle class welfare is actually inaccurate, because they are widespread cuts, but there’s no sense in it"
"The entitlements bestowed on tens of millions of people by successive governments, fuelled by short-term electoral cycles and the politics of outbidding your opponents are, in essence, undermining our ability to ensure democracy, fair representation and economic sustainability for future generations... The age of unlimited and unfunded entitlement to government services and income support is over. It’s as over in Greece as it is in Italy, in Spain, and in the USA." The government needs export prices to fall no further in order to have any hope of painlessly delivering its promised budget surplus. 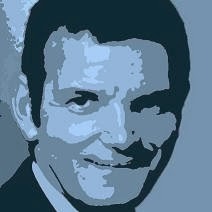 A statement of risks published with the budget update shows that if Australia’s terms of trade fall a further 4 per cent (on top of 8 per cent now forecast) the government will lose an extra $2.8 billion in tax revenue, enough to obliterate what is now a wafer-thin $1.1 billion forecast surplus. It would lose the $2.2 billion surplus expected for the following year as well, suffering a revenue hit that year of $6.7 billion. The update shows the Australian economy performing well, with economic growth of 3 per cent expected this year, down only slightly from the 3.25 per cent expected at budget time. Employment is expected to grow and unemployment is expected to stay almost exactly where it is at 5.5 per cent right through to mid 2014. But the international economy has turned against Australia sharply. Between the May budget and the first week of September the spot price of iron ore slid 38 per cent, before clawing back two thirds of the fall in October. The world has suddenly become less generous to Australia than it was in May, pushing company and mining tax collections $4 billion lower than expected this financial year and $20 billion lower over the next four years. The biggest trick used to make up the shortfall this year is to grab half a billion dollars worth of superannuation money that would otherwise be sitting around unclaimed in unidentifiable accounts. Until now those funds had to lay unclaimed for five years before the Tax Office grabbed them and parked them in consolidated revenue. That period has been cut to one year, effectively channelling five years of unclaimed monies into one year’s budget. Another trick is to “reprofile” government grants, paying in future years what would have been paid this year. Over the four year forecast period by far the biggest trick is to make companies hand over their tax payments monthly instead of quarterly. It’ll first be big companies with turnovers of $1 billion (from January 2014) then mid size companies with turnovers of $100 million from January 2015 and companies turning over $20 million from January 2016. Over four years this will rake in an extra $8.3 million - accounting for half of the $16.4 billion the Treasurer is saving over four years. Wayne Swan said yesterday no companies would pay a single extra dollar in tax as a result of the change, and he is right - but as each group of companies moves to quarterly payments it will hand over 14 months of tax in the first 12-months, paying in May and June two thirds of the payment that wouldn’t have been due until July 21. Mr Swan isn’t the first Treasurer to pull forward company tax payments - his predecessor Peter Costello did something similar. Not all of the measures are fiddles... Some have set up future Treasurers for the long term. Mr Swan has freed the budget from the jaws of the private health funds who until now have had the government rebate a portion of whatever fees they chose to set. From 2014 government rebates will increase only in line with the more slowly moving consumer price index. At the moment the CPI is climbing 1.2 per cent per year. Health insurance premiums have been climbing 5 per cent per year. It’ll save $700 million over three years and that’s just the start. Lifting visa charges for people wanting to move to or work in Australia will raise $500 million over four years, and more as they are benchmarked to charges overseas. Mr Swan has used just about every trick available to him to to keep the budget in the thinnest of surpluses without pain. 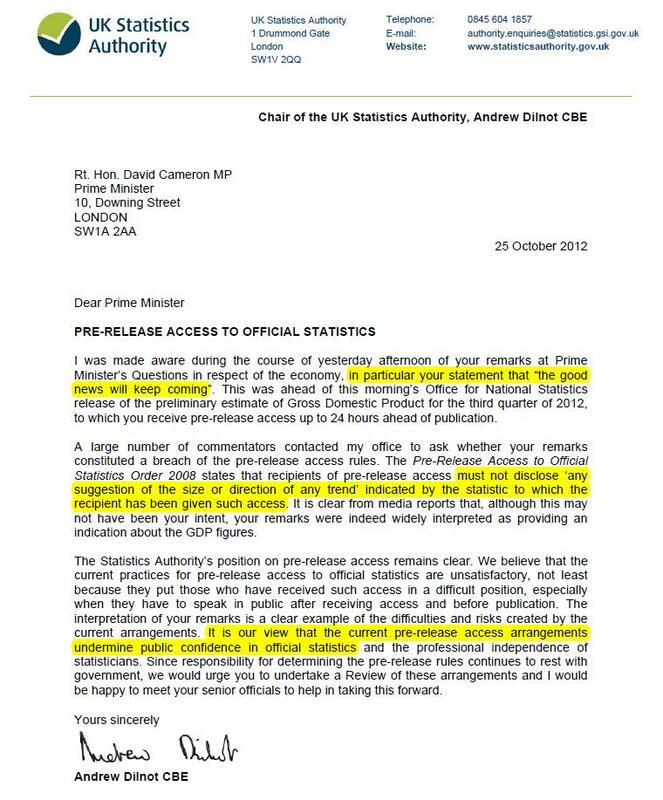 Should export prices turn down further, there will be little more he can do.
. Treasury. Are big budget surpluses gone forever? Workers who get a tax advantage sacrificing their salaries for tickets to events such as V8 supercar races and the Department of Defence are among those who will bear the brunt of billions of dollars of budget cutbacks to be unveiled this morning in a bid to wipe government debt by 2021 and pressure the Reserve Bank to cut interest rates again next week. The mid-year budget update is being brought forward from November in order to get eight full months of revenue this financial year from the measures that will apply from November 1 and to present the Reserve Bank board with a picture of fiscal discipline when it meets to consider a second successive rate cut on Melbourne Cup Day November 2. The cost of family reunion visas will soar next month as a result of a rule change that will require a visa for each member of a family being reunited rather than a single visa per family. The cost of each visa will jump by roughly 30 per cent in order to lift Australia’s charges to the average of other countries. The Government will also close a loophole that allows a very small group of workers to use salary sacrificing to get taxpayer funded discounts for things such as theatre tickets and V8 supercar tickets. Until now there has been no tax on the first $1333 of so-called “in house fringe benefits” such as cricket bats for sports store employees, even when the worker buys them by sacrificing salary. The change will hit South Australian public servants who are able to salary sacrifice to buy tickets to V8 races and University of Western Australia academics who can salary sacrifice to buy tickets to the Perth International Arts Festival. It will not hurt workers who receive goods for free and it will hit workers who use staff discount cards. Treasurer Wayne Swan says the cutbacks will “reflect Labor values in doing the utmost to protect low and middle income earners and the community’s most vulnerable”. Budget revenues are down $4 billion on what was expected this financial year and $21 billion over the next four years, enough to obliterate this year’s forecast surplus of $1.5 billion and the forecast surpluses for each of the following two years. The cutbacks to be announced this morning will restore the forecast surpluses and put the government back on track to be debt-free by 2021. It will be the fourth consecutive mid-year update to cut spending and will bring to around $150 billion the ongoing savings made by Labor over five years... Treasury analysis included in the update will show those savings have improved the budget position by 0.9 per cent of GDP this financial year and will have improved it 2 per cent by 2022. They will be used to argue the savings are long-term rather than quick fixes intended to secure a temporary surplus. The Department of Defense will be biggest victim in the bureaucracy of budget cuts, other departments having already suffered “efficiency dividend” haircuts of four per cent. A survey by the Community and Public Sector Union has found members waiting times up 75 per cent for Centrelink, Medicare, Tax and Immigration and Customs services. A rare spending measure today will gift $10 million to a new superannuation consumer centre to lobby on behalf of superannuation customers. Former Macquarie Bank chief Allan Moss has been draw up the proposal and told The Age it would ensure industry voices were not the only ones heard on superannuation. Where the consumer body agreed with industry it would give the industry’s views more credibility. If the most educated state in the nation falls for a scare campaign against sensible tax reform, what hope is there for the rest of us? One in every four citizens of the Australian Capital Territory has a university degree. In the rest of Australia it’s one in seven. The Labor-Green alliance that runs the ACT took the 2010 Henry Review at its word. It found there was no role for stamp duties in a modern tax system. “As a tax on transferring land, they discourage land from changing hands to its most valuable use,” the review said. Stamp duties taxed most heavily Australians “who need to move”. As stamp duties were phased down it suggested land tax be ramped up, in part because this would dampen the effect of lower stamp duties on house prices. Textbook stuff. Just like the review’s suggestion that mining royalties be replaced by a super profits tax (something which would be assisting the industry right now if it had been fully adopted). 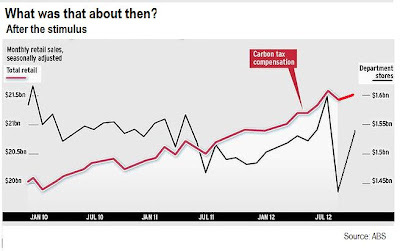 Kevin Rudd and Wayne Swan ran with the super profits tax and were rewarded with a (successful) scare campaign. Surely it couldn’t happen in the Australian Capital Territory, where voters were likely to actually understand what was going on? It did. 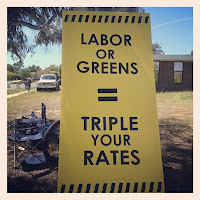 The ACT Liberal Party campaign on one three word warning: ''triple your rates''. On Saturday night it was rewarded with a 6.4 per cent swing and is now set to have more seats in the House of Assembly than Labor (although Labor will retain government with the support of the Greens). The lesson is being absorbed throughout the nation. Don’t bother with sensible tax reform - no matter who recommends it and no matter who compelling their arguments - if the campaign against it can be reduced to three simple words. The Labor stronghold of the Australian Capital Territory has swung sharply to the Liberal Party with key Labor ministers including the attorney general at risk of losing their seats. The 6.4 per cent swing to the Liberal Party will give it eight of the 17 seats in ACT assembly, just one short of the nine it would need to form government. Labor will continue in minority government with the support of the Greens whose numbers have been halved from four to two. Tony Abbott called on the Greens to accept the will of the people and go into coalition with the Liberals. He said the issue was that the ACT rate increase hadn’t been put to an election, just as the carbon tax had not been put to an Australian election. The narrow result puts the Coalition in a strong position nationally. The ACT had been expected to rally behind Labor fearing public service cutbacks should the Coalition take office federally. It leaves Labor governing in its own right in just one state; South Australia, and leaves it governing with the support of the Greens in only two - the ACT and Tasmania. With counting not yet finalised, neither the Labor leader, Katy Gallagher, nor the Liberal leader, Zed Seselja, have claimed victory. Mr Seselja, said he was open to negotiating a coalition government with the Greens but said there would be no Greens in his ministry. Next week’s budget update will unveil spending cuts and revenue measures worth an extraordinary $4 billion this financial year - a task made all the more difficult by the fact the year has just eight months left to run. Shocking revenue downgrades to be included in the update reveal that since May deteriorating international conditions and collapsing export prices have knocked $21 billion from projected tax revenues over the forward estimates and $4 billion from forecast tax revenue this financial year. Without action the downgrades would wipe out this year’s planned $1.5 billion surplus and wipe out the next two years’ planned surpluses as well. Writing in today’s Herald Treasurer Wayne Swan reaffirms his commitment to balance the budget next week but says he will cut with care, doing “everything possible to protect jobs and help pave the way for classic Labor reforms”. “In balancing the budget, the Gillard government has made sensible spending cuts while winding back inefficient and outdated tax concessions. We have balanced fiscal discipline with continuing investments in people – our most valuable natural resource – through vital reforms in skills and education, a national broadband network and the national disability insurance scheme,” he writes. The publication of the virtually unchanged domestic economic forecasts will further pressure Opposition Leader Tony Abbott who has already been asked to explain why his predictions of “almost unimaginable” inflation and job losses resulting from the carbon tax have not materialised. A Bloomberg survey of 25 market economists ahead of next Wednesday’s release of the first inflation data since the July 1 introduction of tax finds most expect a low annual inflation rate of close to 1.6 per cent. The tax collection data suggests that if anything the domestic economy is somewhat stronger than expected at budget time. Both taxes collected from wages and goods and services tax collections are running ahead of projections. Dramatically lower company tax collections account for most of the $21 billion writedown. Treasury official David Gruen told a Senate hearing Thursday the spot prices of iron ore, thermal coal and coking coal have fallen 15 to 35 per cent since the May budget. These were the three big commodities that drove Australia’s terms of trade. The budget had forecast a slide in the terms of trade of 5.75 per cent. The update will say that although some of slides have been partially reversed they are no longer expected to return to the levels forecast in May. It will revise down revenue forecasts for the new minerals resource rent tax and the petroleum resource rent tax in addition to cutting forecast company tax collections. It will also revise down forecast income from non resource companies acknowledging generally weaker corporate profits across the economy. Profits from unincorporated businesses will also be revised down.
. MYEFO Monday. Cigs up November 1? Australia’s medical and scientific research system is in chaos ahead of next week’s budget update with as many as 4000 of the nation’s top researchers uncertain of their futures and without guidance. Australian Research Council chief Aidan Byrne told a Senate hearing yesterday he didn’t know whether or when hundreds of millions of dollars of grants preliminarily already approved would be announced and paid. Next year’s ARC grants were due to be announced this month. But a funding “freeze” or “pause” in the leadup to the minibudget means the ARC is able to unable to tell applicants anything. Many of the grants are for continuing projects. Applications for grants for 2014 were meant to have closed by now but “because of the pause or freeze, we haven’t even opened them,” Professor Byrne said. Tertiary Education minister Chris Evans told the committee he would find out what remained after the freeze when it did. University of New South Wales vice chancellor Fred Hilmer said top flight researchers lured to his university from overseas were close to leaving the country and not coming back. “The need to make plans for next year, they need to know whether they are successful effectively unemployed,” he told The Age. “If they knew they were going to be successful they could plan to stay and take leave without pay. Research grants typically last three years meaning one in every three projects is at risk. Head of the Melbourne-based ARC Centre of Excellence for Coherent X-ray Science Keith Nugent said freezing the grants would have ‘‘irreversible consequences’’. ‘‘The idea of putting these grants on hold for twelve months is not simply delaying funding, it is putting on hold the career development of a whole generation of people,” he said. The Senate hearing was told the government decided to freeze all so-called discretionary grants on or near August 28. Staff at AusIndustry were told not to mention the decision unless asked and to tell callers inquiring about the progress of specific applications that they were subject to a “brief pause”. It was likely the word “brief” had since been removed from the script used by its call centre. Grants to Australia’s big car manufacturers are among those frozen. Universities Australia chief Belinda Robertson said her members had already begun dipping into funds meant for other purposes to support researchers and researchers themselves were beginning to “self fund”. Professor Hilmer said the University of New South Wales took one in every ten of Australia's medical and academic research dollars. This meant that Australia-wide as many as 4000 researchers were in the dark about their immediate futures. Senator Evans said he thought the budget update would end the uncertainty, but he did not know how much grant funding would be left. The government will release its midyear budget update next week, prompting accusations it is bringing the document forward to avoid factoring in worsening revenue predictions and jeopardising its promised surplus for this financial year. It is understood that the midyear economic and fiscal outlook will be released as early as Monday, more than a month earlier than last year's release on November 29. The Reserve Bank minutes published yesterday contributed to the downbeat assessment of the economic outlook, a scenario that paves the way for interest rate cuts in coming months. The government has promised to return the budget to surplus this financial year but is having to make more cuts because the economic outlook has worsened since the budget in May and the cost of dealing with asylum seekers has blown out. The Herald understands university research grants worth $240 million are at risk after the government put on hold this year's grants round amid speculation it would not be restarted. So-called discovery grants in fields including science, economics and medicine are normally announced in late October. Informally, academics have been told not to expect announcements this year and that next year's round is also on hold. Other areas that have been subject to speculation concerning savings include superannuation and a 25 per cent increase in tobacco taxes. The government, which faces an election next year, is sticking to its surplus promise despite falling revenues, declining commodity prices and an uncertain global outlook. The budget predicted a slender surplus of $1.5 billion for this financial year. Last financial year it recorded a deficit of $47 billion. The opposition spokesman on finance, Andrew Robb, said that releasing the midyear statement early would avoid the forecasts being based on assumptions more downbeat than they are at present. He pointed to the Reserve Bank minutes, which noted that despite a small recovery in commodity prices, mining investment was likely to peak earlier and at lower levels than had been forecast. The government would not comment on when the midyear budget update would be released but one source was keen to dispute the claims that a release next week would be unusually early, saying previous midyear forecasts - in 2008, 2009 and 2010 - were released in early November. Treasurer Wayne Swan has ruled out changing alcohol tax in next week’s minibudget despite last-minute lobbying and a finding Australia’s wine glut is as good as over. A scathing assessment by the 2010 Henry Tax Review described Australia’s system of differently taxing beer, spirits and wine as “incoherent” and recommended instead a uniform rate of tax to apply across all forms of alcohol, set at the rate for full-strength beer of 39 cents per standard drink. The plan would have cut $100 from the price of a bottle of heavily taxed Grange and leave the price of mid-range bottles little changed, but lift the price of lightly-taxed four litre cask wine from $15 to in excess of $40. Mr Swan rejected the recommendation at the time saying he would not “change alcohol tax in the middle of a wine glut and where there is an industry restructure underway”. A review by the Foundation for Alcohol Research and Education delivered to the Treasurer yesterday finds that two years on the glut is largely gone and the industry “reaching equilibrium”. “The glut is over and Mr Swan is all out of excuses,” said Foundation chief executive Michael Thorn. But a spokesman for the Treasurer told the Herald the government did “not have any plans for changes in this area”. Mr Thorn said implementing the Henry recommendations on alcohol tax would give the government another $1.5 billion per year... Modelling by the Allen Group finds it would cut cask wine sales 60 per cent. Bottled wine producers Treasury Wine Estates and Pernod Ricard swung their weight behind the change in their submissions to last year’s Tax Summit. Between them they produce Australia's top three brands: Penfolds, Wolf Blass and Jacob’s Creek.
. Tax wine as beer. Please. The NSW home building industry is set to roar back to life with as many as 8000 more homes built per year as a result of this month’s changes to first home owner rules, new forecasts say. BIS Shrapnel is lifting its forecast of NSW home building from the present dismally low 25,000 per year to nearer 40,000 by the middle of the decade. It says as many of 8000 extra houses per year will be built as a result of changes to the First Home Owner Grant announced in the second O'Farrell budget. The $7000 grant previously available to all first home owners was axed on October 1. In its place is a $15,000 grant only available to first owners who buy newly-built homes worth up to $650,000. “We can see what’s likely to happen by looking at what happened last time buyers of new homes were given special treatment,” BIS Shrapnel associate director Kim Hawtrey told the Herald. In 2008 during the financial crisis the Commonwealth government boosted the grant for first owners who bought new homes to $21,000. Just over a year later it fell back to $7000. “Before the boost around 10 to 15 per cent of Australia’s first home owners bought new homes or units,” Dr Hawtrey said. The Office of State Revenue says 37,500 NSW residents took out first home owner grants in 2011-12. If the proportion buying new homes jumps from 17 to 39 per cent an extra 8200 will buy new homes. "Stimulating the supply of homes is more important now than ever. The industry needs help and Sydney remains the least affordable capital city in Australia. On balance we think that the state package will help spur home building back towards where it should be. We have factored it into our forecasts,” Dr Hawtrey said.
. What's the deal with negative gearing?
. Our worst tax is stamp duty. Parkinson says so. "There is some evidence that the changes taking place have led to a higher rate of job turnover in recent times than has been the case for the past two decades. The number of people who left a job over the year to February 2012, as a share of those employed some time during the year, was the highest in two decades, with fairly high rates of both voluntary and involuntary separations. This high rate of turnover, with relatively modest aggregate employment growth, is consistent with a lot of new job opportunities opening up in various parts of the economy and, at the same time, other jobs ceasing to exist. Another indication of this is that the official measure of job vacancies has remained relatively high, yet employment growth has been relatively subdued." "Patent litigation typically involves dying firms, that have accumulated huge stockpile of patents but are no longer able to produce marketable products, suing new and innovative firms. A once proud firm – one of the first producers of microchips, and who in our generation can forget their first TI calculator – Texas Instruments was unable to make the transition to the PC revolution and became, for a while, the symbol of a dying company trying to stay alive by suing the newcomers. In more recent times, Microsoft has become the chief among the patent trolls." "A system that at one time served to limit the power of royalty to reward favored individuals with monopolies has become with the passage of time a system that serves primarily to encourage failing monopolists to inhibit competition by blocking innovation." "The current system favors a small number of blockbuster drugs that can be sold to millions of patients. The coming revolution in medicine will rely on carefully targeting hundreds or even thousands of drugs to the correct patients."
. Stealing intellectual property is worse than stealing physical property?
. Do most Australians have any idea what our Government has just signed us up to? A half a century since Love Me Do. I don't bloody believe it. "Listening to it with fresh ears, Love Me Do sounds unlike anything else in the charts of the day... Love Me Do is weird. It's not compressed to hell.. nor string-sweetened.. It's dry, stark, almost "live": the extreme simplicity of the lyric and, on occasion, the stop/start, almost halting arrangement (check out the oddly burlesque bass drum "boomph" at around 1'52") makes you think that this is a group operating near the limits of their ability. The lyric, while entirely within period romantic cliches, is both slightly awkward – "love me do": who ever says that when they're chatting someone up? – and direct ("someone like you"). Which makes it a pretty faithful expression of teen courting rituals, with their mixture of uncertainty and desire." The whole speech is great. If we won't broaden the GST we'll have to broaden the payroll tax (and do much more). We’re becoming increasingly two-faced in our spending, turning away from shops towards car showrooms and gas-guzzling sports utility vehicles. The latest retail figures show with the pre-July carbon tax compensation payments out of the way we’ve returned to anemic spending growth, lifting the cash we put through shop tills barely enough to keep pace with inflation and population growth. Retail spending growth returned to its long-term trend of 0.2 per cent per month in August after soaring an exceptional 1.2 per cent in June after bonus payments worth $2.85 billion and then slipping 0.8 per cent in July. Away from the shops car lovers are spending up big. Separately released industry figures show vehicle sales up 9 per cent in the year to September with sports utility vehicles accounting for almost one in every three vehicles sold. The 28 per cent figure is a record high, well up from last year’s 23 per cent. By contrast only 0.4 per cent of all cars sold were fuel-efficient hybrids. But the figure is an improvement. Last year it was 0.2 per cent. BIS Shrapnel senior economist Tim Hampton said the news depicted “an economy making progress, but in need of additional stimulus”. AMP chief economist Shane Oliver said he now expected three more cuts in the Reserve Bank’s cash rate taking it to an all-time low of 2.5 per cent. “Although it has cut the rate to 3.25 per cent, near its global financial crisis low, the mortgage rates charged by banks are still well above their crisis lows,” he said. 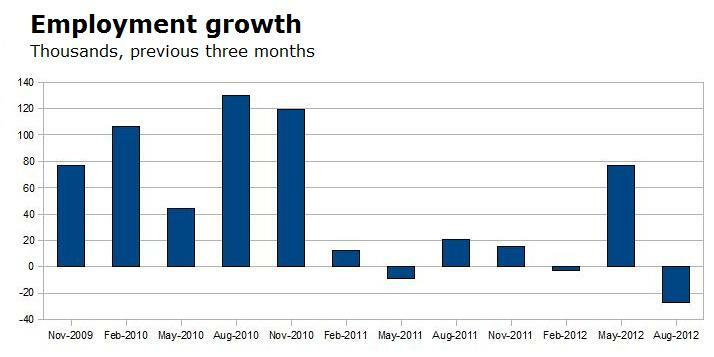 Australian banks have form when it comes to failing to fully pass on rate cuts and overegging rate rises. A study just published in the prestigious Economic Record finds Reserve Bank rate rises have “a much larger and more instantaneous impact on the mortgage rate than rate cuts”. The size of the difference is shocking. Using monthly Reserve Bank statistics on its cash rate and mortgage rates over the two decades to 2011 the paper finds on average Australian banks have passed on 116 per cent of each rate rise and only 84 per cent of each cut. The results reflect what the authors call “aysmmetries” in both the speed and size of the banks’ reactions, with the banks typically slow and stingy about passing on cuts and fast and enthusiastic about more than passing on rate hikes. Separate research currently being conducted by the lead author Associate Professor Abbas Valadkhani of the University of Wollongong finds that almost all of the asymmetry emerged after the 2008 global financial crisis. “Before the crisis the gap between the Reserve Bank cash rate and each of the standard variable rates was basically constant - afterwards it widened dramatically,” he told The Age. So dramatic is the change that in the five years after the crisis each of the big four banks has charged a higher average rate than before the crisis, despite the average Reserve Bank cash rate being lower. Westpac became clearly the “least friendly” with an average mark up over the cash rate of 3.52 percentage points, the National Australia Bank the most friendly with a mark up of 3.15 points. In the middle were the ANZ and Commonwealth with mark ups of 3.39 and 3.26 points. He finds whenever a bank has moved away from the pack in the length of time it has taken to respond to a rate move it has done it with at least one other. Former Commonwealth Bank and Future Fund chief David Murray last night called on politicians not to “jawbone” the banks to pass on the Reserve Bank cut in full. Australia ran the risk of going the way of Greece because it was too dependent on the rest of the world for capital.
. Why won't the banks pass it all on? The Reserve Bank has cut interest rates to the lowest point since the 2009 financial crisis amid concern the mining investment boom will peak sooner and lower than expected. It is on standby to cut rates again at its November board meeting on Melbourne Cup Tuesday. Iron ore and coal mining companies have told the Bank they are putting their investment plans on ice sooner than expected because they can no longer be certain prices will stay high. They have told the Bank the rebound in prices over the past month gives them little comfort because they can’t be confident they won’t slide again. The September commodity price reading released by the Bank late yesterday shows the Australian dollar prices of Australian exports have slid 18 per cent over the past twelve months. The Bank has brought forward its estimate of the peak in mining investment from 2013-14 to 2013. It believes the economy will need stimulus as mining investment falls away and the right time to start providing it is now, given the long lead times involved in boosting activity. They will be guided by investment intentions, global economic developments and the strength of Australian dollar in deciding whether to cut again on Melbourne Cup Tuesday. Although it is not cutting rates in order to cut the dollar it believes the stubbornly high dollar is depriving Australia of export income it would have expected to earn as the dollar fell in line with plunging commodity prices. The Australian dollar slid 0.60 US cents to a low of $1.0295 on the news. The share market gained 1 per cent. If fully passed on the cut will slice a further $47 of the monthly cost of servicing a $300,000 loan. The Reserve Bank’s four most recent cuts in November, December, May and June have cut a total of $190 from monthly repayments. Treasurer Wayne Swan said the cut meant a family on a $300,000 mortgage would pay around $4500 less per year than when the Coalition left office. “It’s a welcome dividend from responsible budget management. It is good news for families and small businesses right across Australia,” he said. Shadow treasurer Joe Hockey said rates was now just one step away from what Mr Swan had previously described as the “emergency levels” needed during the global financial crisis. Mr Swan appealed to banks not to “crib” or “crimp” something from the cut. The Bank of Queensland was the first to respond passing on only 0.20 points of the 2.25 point cut, bringing its mortgage rate to 6.71 per cent. The big four have yet to announce their decisions. Qantas has failed in an audacious and “unattractive” bid to get back $34 million in goods and services tax it has collected from its customers but didn’t want to hand over to the Tax Office. Its argument - rejected by four of the five judges who heard the case - was that because the customers had paid airfares without taking flights it had not supplied a service as required to be liable for GST. The one judge who did back Qantas, Justice John Dyson, did so despite a “superficially unattractive” feature of its position. “The respondent seeks to acquire money paid by passengers who intended or expected that it would end up in the hands of the [Tax Office]” he said. Qantas was seeking back $26.6 million in GST it and its subsidiary Jetstar collected on forfeited flights in the first eight years of the tax and a further $7.6 million in GST it collected on tickets for which customers had never bothered to claim refunds. “It’s good news for Qantas customers who have forfeited their fares. At least now they know 10 per cent of what they lost will be coming back to them via state government services rather than being kept by Qantas,’ he said. If Qantas had won the case the benefits would have flowed through to concert promoters, organisers of sporting events and hotel operators all of whom would have been able to claim they need not pass on GST they have collected from no-show customers because they did not provide a service. Qantas said in a statement it was “disappointed” and would not be out of pocket because it had already handed over the GST.